WOW! Townhome overlooking the Lake! You will be cooking in heaven in this kitchen w/extended counter & bar! Open to Dining Room & Lake-view! Great Rm focused on the fireplace & Lake view! Master Bedroom w/balcony & Lake-view! Fabulous office w/ wall of built-ins. Hugelaundry,pantry, storage. Extra vanity space & walk-in closet. 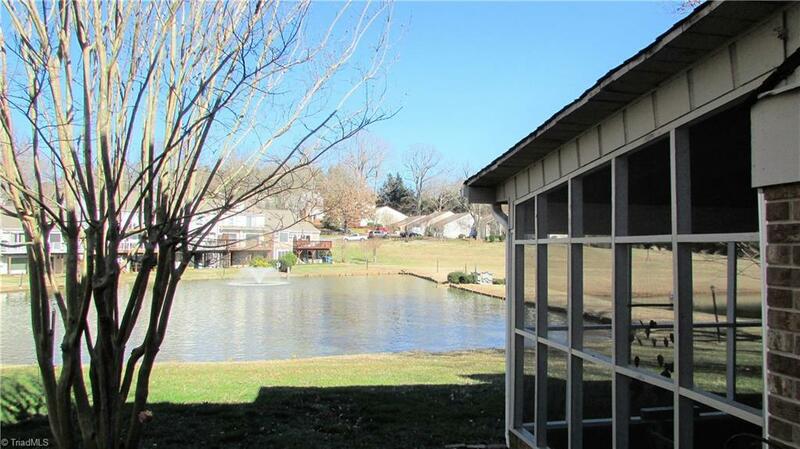 Screen Porch w/ tile floor plus patio runsfull length of home w/ Lake-Frontage! Dbl carport & dbl drive way. Ext. storage. No Club Membershiprequirement! Gated Community! Sold by Realty Group Of The Triad, Inc..